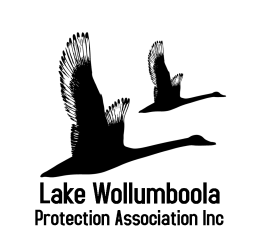 Campaign – Protect Lake Wollumboola! Our journey to protect Lake Wollumboola and its catchment began in 1993 and along the way we’ve had wins, frustrations, and even won some awards. 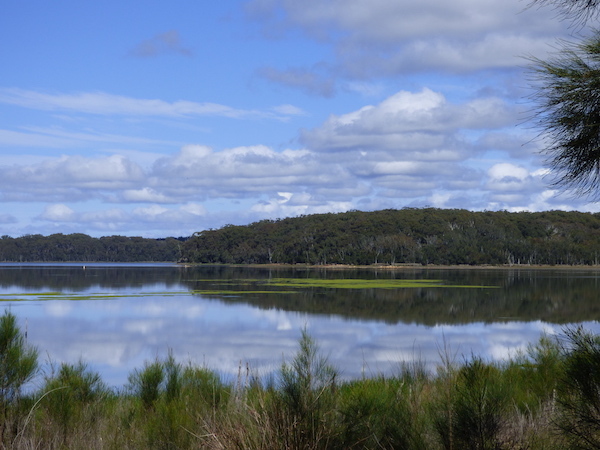 It all began when a group of Culburra Beach residents and frequent visitors who love the lake, got together to provide comment to Shoalhaven City Council concerning an Estuary Management Study and Plan for Lake Wollumboola. We were shocked to learn about additional plans for a major urban development of 3200 lots, in the north-west catchment of Lake Wollumboola including Long Bow Point and the neighbouring Crookhaven River catchment. Fearful of impacts on the lake’s water quality and wildlife, its bushland catchment and Aboriginal cultural heritage, we formed the unincorporated “Lake Wollumboola Support Group.” In 2002 we incorporated as the “Lake Wollumboola Protection Association Inc” in response to incidents that we considered involved harassment, including threats of legal action from a group which adopted our original name and became incorporated. This pro-development group supported the plans of the development company Realty Realizations Pty Ltd.
community education to to encourage understanding and appreciation of the lake. We convened meetings and workshops, wrote letters to politicians and petitioned Shoalhaven City Council not to approve Realty Realizations’ development proposals. 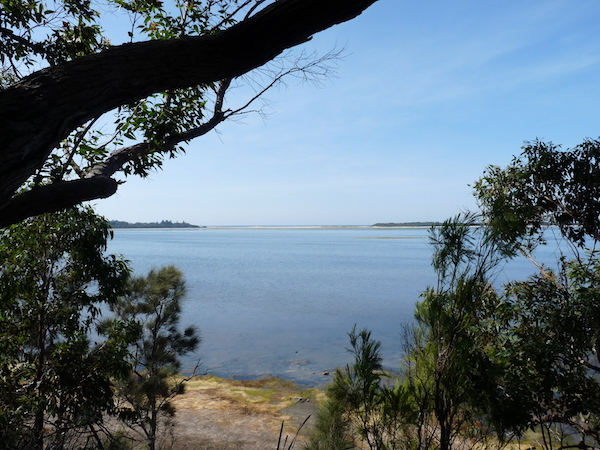 the NSW Coastal Lakes Inquiry 2002 resulted in declaration of the Lake bed and sand bar as part of Jervis Bay National Park and the Government agreeing to progress the lake’s listing as a wetland of international importance under the Ramsar Convention. the South Coast Sensitive Urban Lands Review 2006 provided further evidence that the lake catchment is unsuitable for urban development and recommended that it should be zoned for Environment Conservation and included in Jervis Bay National Park. the South Coast Regional Strategy (2007) adopted the recommendations of these inquiries as the basis for land-use zoning in the Shoalhaven Local Environment Plan (SLEP). Despite these Government decisions, the landowner Realty Realizations lodged two development applications, the first in 2010 for a mixed-use urban development in the Lake and Crookhaven River catchments and in 2011 for a golf course at Long Bow Point. Both these applications are inconsistent with past and present Government policy and as at 2017 have not been approved. In March 2017 the Minister for Planning called in the golf course development application for Ministerial decision, rather than decision by Shoalhaven City Council, based on the advice of the Planning Assessment Commission that the application was a ‘State Significant Development. Shoalhaven City Council also resisted the NSW Government’s policy that Long Bow Point and surrounds should be zoned for Environment Protection as part of the SLEP and instead recommended to the Minister for Planning a zoning to allow a golf course. The 2013 NSW Office of Environment and Heritage, scientific research report in response to claims that these developments would have beneficial impacts on the lake, represented a critical turning point in this saga. The Report challenged these claims and concluded that the lake ‘is vulnerable to a catastrophic state change, if key processes are disrupted by nutrient enrichment” and that ‘it would never recover’. In 2015 the NSW Government adopted this expert advice and planning directions in the Illawarra Shoalhaven Regional Plan. Subsequently the Department of Planning and Environment agreed to progress a planning proposal covering the Halloran Trust lands, including those in the Lake catchment. zone Long Bow Point for environment protection dependent on an agreed biodiversity offset strategy based on a flora and fauna study. zone other land within the Lake catchment for environmental protection unless hydrological studies of ground and surface water and a water quality management strategy identify that an alternative zoning can achieve a neutral or beneficial effect on the lake. 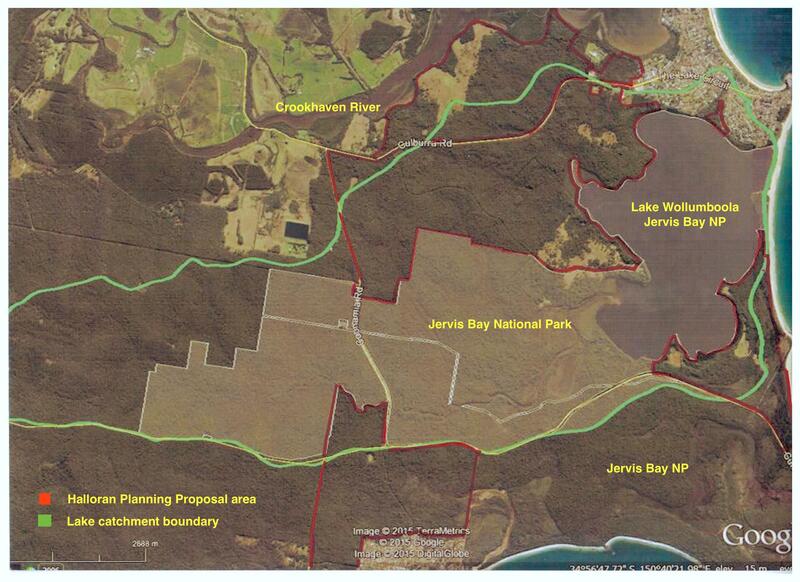 We look forward to a decision whereby the most sensitive private lands in the lake catchment, including Long Bow Point, will after all these years become part of Jervis Bay National Park. But we remain concerned at the proposed extent of development proposed in the Crookhaven River catchment and likely adverse impacts on the Crookhaven estuary and wetlands and on the coastal village character of Culburra Beach. December 2017 is the deadline for completion, but seems likely to be exceeded. We are confident, but cautious nevertheless, as we approach the end of this saga to protect the lake catchment, as we have learned from experience that much can change during final decision-making process. Along the way our members have made exciting discoveries contributing to knowledge of the Lake’s values including: thousands of Green and Golden Bell Frogs breeding at Lake Wollumboola; Keith Campbell’s research into early exploration of the area provided evidence that in 1805 and 1813 Lake Wollumboola was much the same as it is now – an intermittently closing and opening lake; and the publication of Ornithologist, Joy Pegler’s ongoing monthly bird surveys of Lake Wollumboola since 1993. Our members have been active in the community raising awareness and understanding of Lake Wollumboola through our newsletters, Love Culburra Festival market stalls, ‘Understanding Lake Wollumboola’ an interactive web-based resource for primary school students and teachers, and the ‘Art at the Beach’ exhibition held at the Nowra-Culburra Surf Club in 2014. Narelle Wright’s stunning photographs of the lake birds and flora have enhanced community understanding of this extraordinary ecosystem. NSW Coastal Management 2014 award to Frances Bray for lifetime achievement in recognition of the significant time, energy and dedication she has shown in her efforts to protect Lake Wollumboola and its unique ecology. NSW Nature Conservation Council Ziggy Megne Volunteer for the Environment Award 2014 to Narelle Wright for more than 30 years in volunteer conservation activities for Lake Wollumboola. 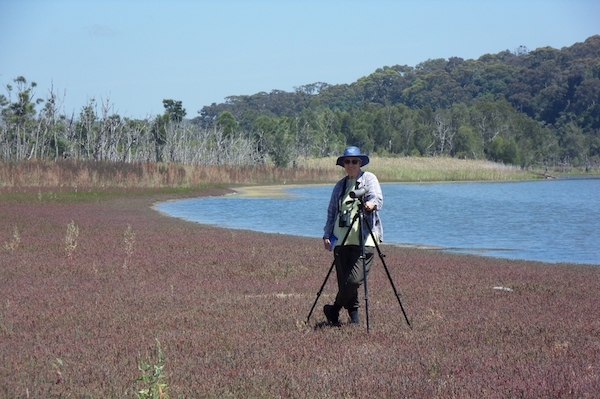 NSW Nature Conservation Council Dunphy Award 2007, recognising Frances Bray for ‘her outstanding commitment during 14 years as an activist for the NSW environment, and remarkable success in protecting Lake Wollumboola’. 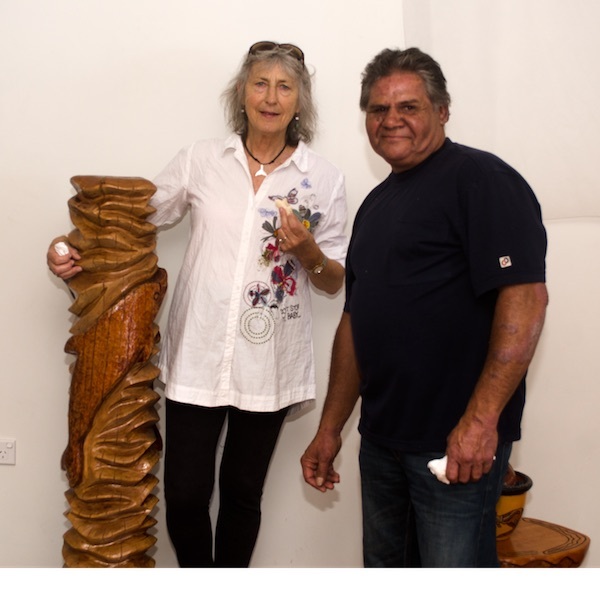 Australian Conservation Foundation Peter Rawlinson Award in 2000 to Frances Bray and Keith Campbell for their efforts to protect and conserve Lake Wollumboola. © 2016 Protect Lake Wollumboola!.